This roof spoiler is a great little unit used to hop-up the Tamiya King Hauler. The roof spoiler may also be used with Tamiya's Globe Line Cab over truck. 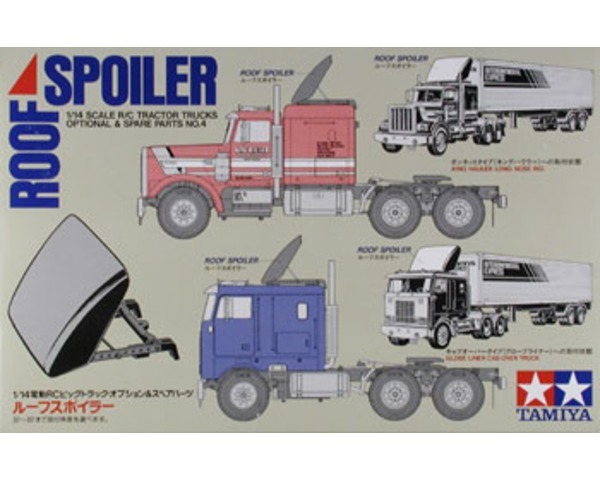 The spoiler is designed to be used with Tamiya's 1/14 scale tractor trailer trucks.